1. I left my coat at work the night before, so I had to go to work coat-less (this kind of implies I only have one coat, I don’t, I have about 20 coats, but none of them would have gone with this outfit like the one I left at work, obvs). Hence why I look slightly chilly. 2. You will have heard me whinging about my sprained ankle, which has meant wearing a tube grip bandage which is clearly visible under my tights (or at least I think so). 3. Re: tights. I thought they were black tights, they are clearly blue tights. Tom reassured me they were black before I left the house and then relented once I was already at work. In a meeting. 4. Couldn’t really be bothered to straighten my hair innit. 5. Outfit post pose location = total disregard for the green cross code. What clearly is good about this outfit is that I’m wearing a dress with foxes on it, a big ol’ sack of a dress that yields total comfort and is perfect for days when you don’t fancy tight waistbands or constricting clothes (can we agree that that’s every day, right?). Foxes are one of my favourite animals, behind badgers of course. 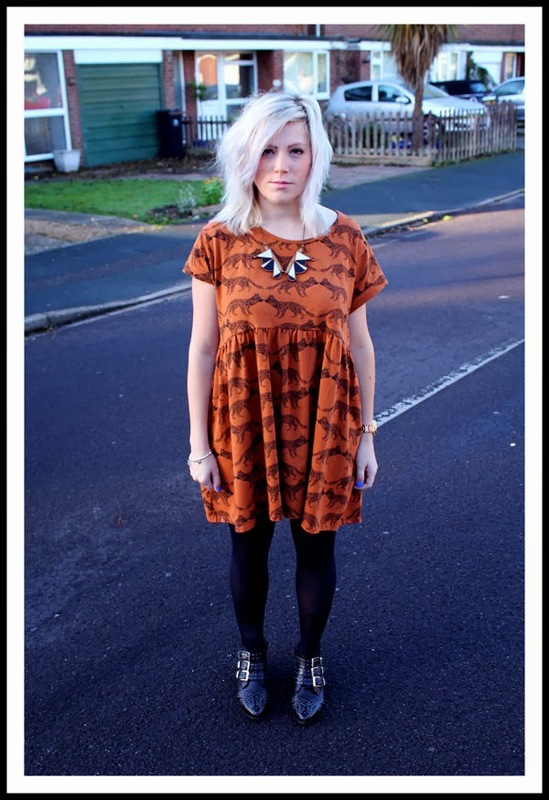 Since buying this I have been alerted by Sarah that ASOS have added another amazing fox dress, so into my basket it went. 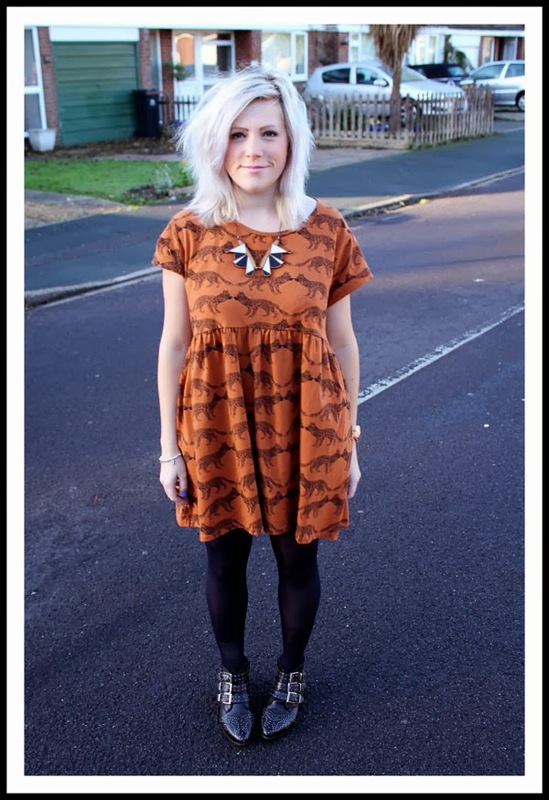 I wonder if I could spend winter only wearing clothes printed with woodland animals? That would be pretty awesome.